Drink toilet water? It’s one thing for the family dog to take a drink now and then, but what about the owners? The children? Well that’s simply unheard of, right? Granted, those looking for water solutions aren’t exactly proposing humans ‘share the bowl’ with Rover. However, what research and technology ARE allowing as a very viable solution for water shortage is toilet-to-tap water reuse. The water is purified, meets government standards, and in no way could a person tell it was once wastewater. Still, many probably think, “Uh-uh, sorry, I’m not drinking, cooking with, or in any way using toilet water!” But residents of Wichita Falls and Big Spring, Texas are singing a different tune. Facing the aftermath of Texas’s driest year ever in 2011, and a state drought second in severity only to the Dust Bowl of the 1950s, the Texas communities have realized, thinking – and drinking – outside the box is critical. They are hailing toilet-to-tap technology as a virtual savior as they’ve watched reservoirs water capacity nosedive to a mere 20 percent in less than four years. The idea of wastewater to aid in water shortage situations isn’t all that new; treated wastewater is frequently used for industrial and landscaping purposes, and can equate to 2 billion gallons of water saved per year. Over 90 percent of the treated wastewater in the U.S. is not recycled, and could be a valued resource when paired with proper water quality and public health safety, best management practices, and treatment processes. It is important to realize that all water on this planet is reused and recycled through the water cycle. We all live downstream from some wastewater source, so the only question is whether we can effectively engineer in a water treatment plant what Mother Nature does naturally. We’ve already seen great results with industrial water reuse in projects like the five high-rise buildings in Battery Park City, Manhattan, where the system employs segregated piping systems to collect, treat and recycle wastewater and storm water for a variety of purposes, including toilet flushing, air conditioning and irrigation for rooftop gardens and an adjacent park. By reusing wastewater for non-potable applications, these buildings’ potable water needs are reduced by nearly half. Together, these five buildings save approximately 56 million gallons of water per year. In addition, the water reuse system at Gillette Stadium, the home of the New England Patriots, treats recycled wastewater from the stadium, as well as from adjacent office complexes and stores, saving 250,000 gallons of water for every major event. And in the City of Fillmore, California a new, state-of-the-art water recycling plant is helping to end the practice of river discharges and enable development of a full-scale water reuse system to benefit many areas of the town. The facility meets the stringent requirements of federal and state regulations as a zero-discharge facility and recycling program for irrigation and groundwater recharge. And the irrigation system has reduced the use of potable water sufficiently enough to allow the city to postpone drilling a new well and has helped preserve its limited supply of quality potable water. 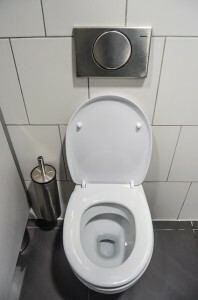 Although not likely to be widespread anytime soon, with changes in lifestyles, population shifts and the global climate, in addition to the growing demand for economically strategic water reuse, there’s no doubt the residents of Wichita Falls won’t be the only ones embracing toilet-to-tap. Use of wastewater as a direct source for drinking water will not be needed everywhere, but it should be considered as part of an overall plan for managing scarce water resources. But the next time you’re tempted to think “Yuck,” as you observe the dog doing what dogs do, think again. Everyone should consider the reality of any community at any time facing a dire shortage of potable water… and we can all be grateful that researchers, scientists and developers have solutions at the ready to ensure that people and towns can continue to live and thrive.